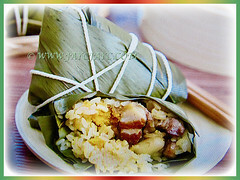 The dried leaves of Bamboo Grass or Asian Broom Grass are used as wrappers for glutinous rice dumplings which are traditionally made during the fifth month of the lunar calendar to celebrate the Dragon Boat Festival. 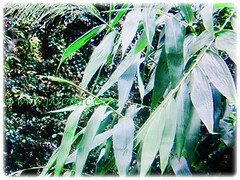 Cultivation of the Bamboo Grass has the great potential to generate employment and enhance rural income for poor countries. Botanical Name: Thysanolaena latifolia (syn. : Melica latifolia, Thysanolaena maxima, Thysanolaena textilis ). 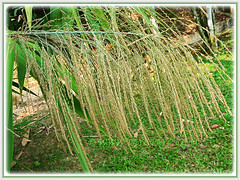 Common Names: Bamboo Grass, Tiger Grass, Asian Broom Grass, Rumput Buloh/ Teberau in Malay. Origin: Native to India to Myanmar, Thailand, Malaysia and China, Taiwan and Japan. It is also cultivated throughout the world. Plant type: An ornamental and clump-forming perennial grass. Features: Thysanolaena latifolia is from the genus Thysanolaena that consists of only one recognized species, namely T. latifolia. A fast-growing and clump-forming perennial grass with bamboo-like culms. It grows below 3 m tall, unbranched and often arching. Leaf sheaths are smooth and glabrous. The large and broadly lanceolate-oblong leaf blades are leathery, up to 40 cm long and 3.7 cm wide. This tall, broad-leaved grass is easily recognized by its large, purplish brown panicle of tiny spikelets which gracefully fall entire with the pedicel attached. 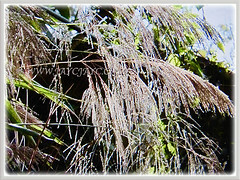 Panicle is large and open with an elliptic outline, measuring between 30-50 cm long. It is very dense with many branches and numerous spikelets. Spikelets 1.5-2 mm long, 2-flowered and cylindrical with ciliate-hispid margins. Caryopsis 0.5 mm long, reddish-brown and elliptical in shape. Flowers occur in minute spikelets and in large branched clusters. It is commonly grown on hillsides, in forests, thickets and river banks. 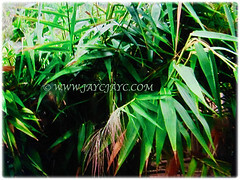 Culture (Care): Thysanolaena latifolia or Bamboo Grass can be grown easily with least maintenance. Light: Full sun or semi-shade though grows best in sunny location. Moisture: Moderate water requirements. Water regularly and thoroughly. Others: Weeding is needed at the early stage of establishment. Since there will be a lot of old dead growth after several years of growing, prune off the whole clump to ground level with a large hedging shears to encourage new growth. Generally free from serious pests and diseases. Nevertheless, watch out for grasshoppers, caterpillars, leaf beetles and yellow-spined bamboo locusts. 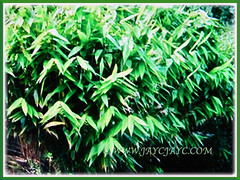 Thysanolaena latifolia or Bamboo Grass prefers tropical or subtropical climates. It is frost sensitive and can tolerate a minimum temperature of -2°C. It can be damaged by cold weather but will return in the spring. Keep it well mulched during cold weather. 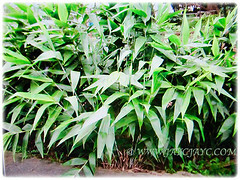 A plant that looks like bamboo but it’s actually a perennial grass with linear leaves and golden brown flowers in summer. It is used as a border, accent, in mass planting or as cut flowers. Prune off old culms with a large hedging shears in late winter or early spring to stimulate new growth. For non-hardy regions, grow it in a large container to easily bring indoors to overwinter. Propagation: Easily propagated by seeds, rhizomes and division of rooted culms. 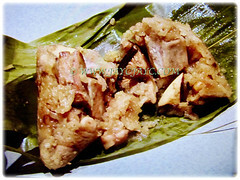 Usage: The dried leaves of Thysanolaena latifolia or Bamboo Grass are used to wrap glutinous rice dumplings which are traditionally made during the fifth month of the lunar calendar to celebrate the Dragon Boat Festival. It is cultivated as a hedge or screen and grown as an ornamental plant. 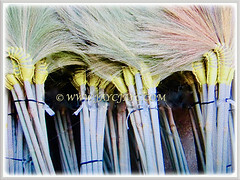 Its flower heads are commonly used as cleaning tools or to make brooms which are extensively sold in local markets. 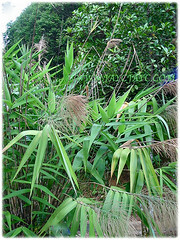 Tiger Grass has antibacterial and wound-healing properties, prevents ulcers and reduces scarring. The veins are strengthened through the use of this plant extract. It’s particularly suitable for the care of mature skin as it promotes the regeneration of peripheral blood vessels and stimulates the skin’s own collagen production. Also, eczematous, sore and burned skin benefits from the salutary effect of Tiger Grass.